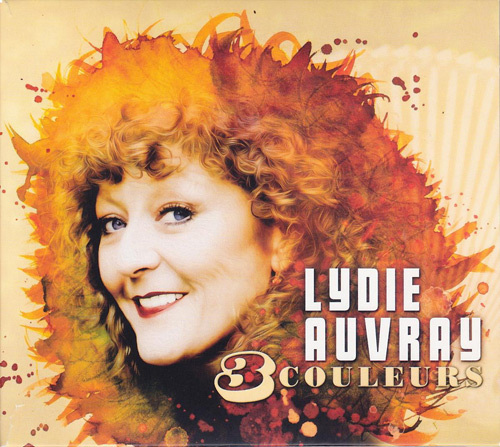 With this CD, titled "3 Couleurs" (3 Colors), the artist Lydia Auvray celebrates her 35 year career, materialized through hundreds of concerts, television appearances and film, and at least a dozen albums as group leader. Accordionist, singer and composer, the French Auvrey - from the mid-70s living in Germany - is well supported by her group: "Auvrettes"; and the apparent harmony is confirmed by the fact that the group is celebrating the 30th year of its foundation. The musicians who work with Lydia Auvray (accordion) are: Harald Heinl (drums), Eckes Malz (piano and percussion), Gigu Neutsch (bass) and Markus Tiedemann (guitars). The last three are also the authors (or co-authors) of six of the 13 tracks that make up the program of this CD, the rest being composed of Auvray. Three of the 13 tracks are songs - pretty interesting (especially as text) - interpreted by the artist herself, in French (the text of the booklet is in French and German). Particularly significant is the song "Dis-moi grand-mère" (Tell me grandmother), the ecological content and naturalist; not for nothing that the piece is also recorded in a second version (bonus track) sung in duet with Cannelle Picot. The other guest on the album is cellist Ulrike Zavelberg. The program covers various genres and therefore different moods. 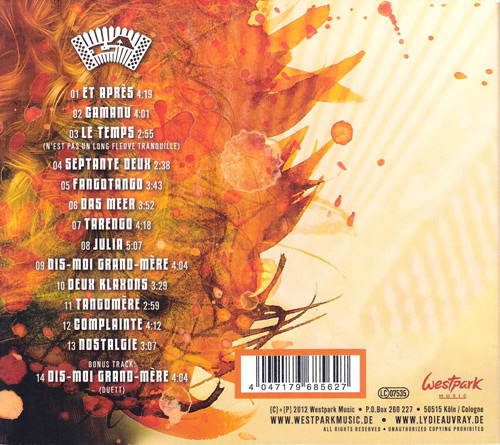 In addition to the songs mentioned above, you can listen to songs inspired by traditional dances - the tango in the foreground - or nostalgic flavor "varietée", but also more modern rhythmical pieces, in particlar, there seemed effective tracks 1. ("Et apres") and 7. ("Tarengo"). In short, the CD offers us music that we might call "easy listening", or simple but well made and non-trivial, pleasant taste and interpreted; a certain music of "evasion" ... but containing the messages to be reckoned with, even to meditate!